Constitutional Adjudication | Pan Mohamad Faiz, S.H., M.C.L., Ph.D.
Posted on January 23, 2019 by Pan Mohamad Faiz, S.H., M.C.L., Ph.D. Constitutional Review (CONSREV) is an international journal published by the Center for Research and Case Analysis and Library Management of the Constitutional Court of Indonesia. The fundamental aim of this journal is to disseminate research and conceptual analysis which focus on constitutional issues. “Megapolitical Cases before the Constitutional Court of Indonesia since 2004: An Empirical Study” by Associate Professor Björn Dressel (Australian National University) and Professor Tomoo Inoue (Seikei University). DOI: https://doi.org/10.31078/consrev421. “Indonesia’s Judicial Review Regime in Comparative Perspective” by Professor Theunis Roux (University of New South Wales). DOI: https://doi.org/10.31078/consrev422. “Korean Constitutional Court and Constitutionalism in Political Dynamics: Focusing on Presidential Impeachment” by Jin Wook Kim (The Constitutional Court of Korea). DOI: https://doi.org/10.31078/consrev423. “Referencing International Human Rights Law in Indonesian Constitutional Adjudication” by Bisariyadi (The Constitutional Court of Indonesia). DOI: https://doi.org/10.31078/consrev424. “Constitutional Retrogression in Indonesia Under President Joko Widodo’s Government: What Can the Constitutional Court Do?” by Abdurrachman Satrio (University of Padjadjaran). DOI: https://doi.org/10.31078/consrev425. “Harmonization of Regulation Based on Pancasila Values Through the Constitutional Court of Indonesia” by Tedi Sudrajat (Jenderal Soedirman University). DOI: https://doi.org/10.31078/consrev426. The Editors expect that this issue might give some new insight and understanding on recent developments on constitutional law and constitutional courts in broader nature to our readers. The full issue of this edition can also be downloaded here: https://bit.ly/2U7sqIQ. Please feel free to share this journal with others. 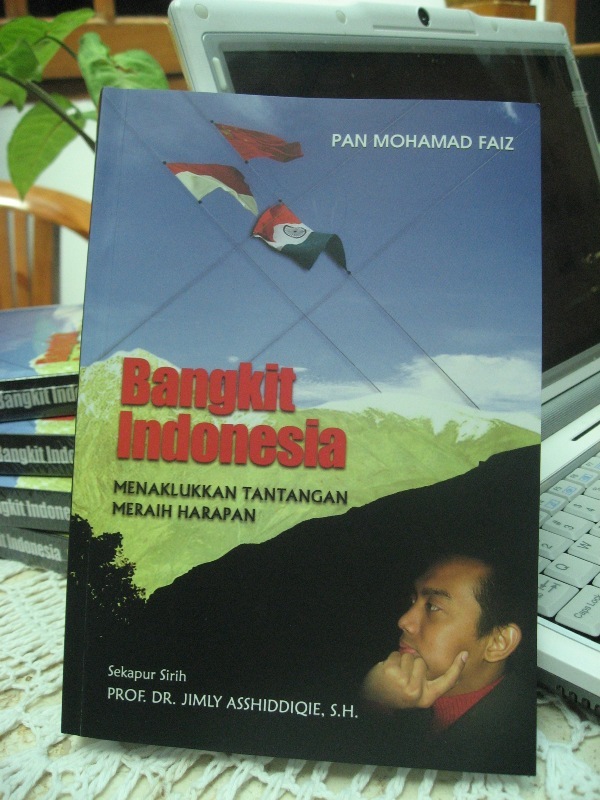 Posted on October 18, 2016 by Pan Mohamad Faiz, S.H., M.C.L., Ph.D.
Abstract: A jurisdiction of the Indonesian Constitutional Court concerning constitutional adjudication is only limited to review the constitutionality of national law. There is no mechanism for challenging any decision or action made by public authorities that violate fundamental rights enshrined in the Indonesian Constitution. This article argues that constitutional complaint and constitutional question might be adopted as new jurisdictions of the Indonesian Constitutional Court in order to strengthen the protection of fundamental rights of its citizen. It also identifies main problems that will be faced by the Constitutional Court in exercising constitutional complaint and constitutional question. For instance, the Court will be burdened with too many cases as experienced by other countries. A clear mechanism for filtering applications lodged to the Constitutional Court and the time limit for deciding cases are important elements that have to be regulated to overcome the problems. In addition, the institutional structure of the Constitutional Court has to be improved, particularly to support its decision-making process.